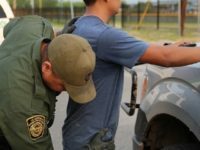 Border Patrol agents assigned to the Rio Grande Valley Sector arrested a Salvadoran migrant who illegally crossed the border with his minor son and a large group of families. Court records indicate the man is wanted for murder in South Carolina. Rio Grande Valley Sector Chief Patrol Chief Patrol Agent Manuel Padilla makes the case for securing the southwestern border during an exclusive interview with Breitbart Texas Editor-in-Chief Brandon Darby. 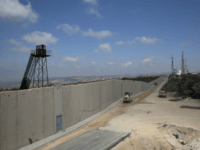 Chief Padilla details why the U.S. needs to have functional control of its borders and discusses the effectiveness of walls and other technologies. 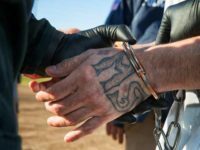 During a recent interview with Breitbart Texas Editor-in-Chief Brandon Darby, Rio Grande Valley (RGV) Sector Chief Manuel Padilla, Jr. reported an increase in the arrest of MS-13 gang members well in excess of 200 percent. The chief explained this is a national security risk because these criminal gang members do not stay in South Texas, but rather, travel all across the U.S. 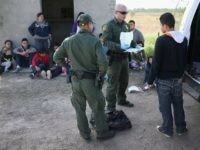 The Border Patrol’s Rio Grande Valley Sector chief told Breitbart Texas his agents apprehended migrants from at least 52 countries, including many from nations with connections to terrorism. The chief Border Patrol official responsible for securing the busiest sector for illegal crossings says Congress must act to close loopholes that criminals are exploiting to bring families and unaccompanied minors into South Texas. 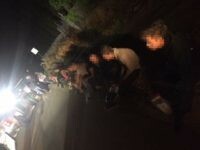 Border Patrol agents in the Rio Grande Valley Sector are reporting “large groups” of illegal immigrants crossing the Texas border with Mexico, according to a statement circulated Tuesday. They are mostly composed of unaccompanied minors and families from Central America.